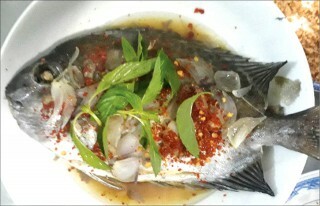 Everything of Hue is small, especially in cuisine. Eating is both materialistic and artistic, both culture and consciousness. 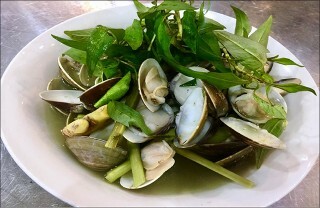 Nowadays, in restaurants clams are considered a specialty. 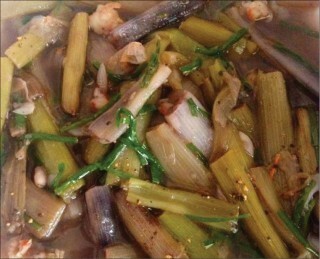 They can be easily processed into various dishes such as clams grilled with fat and spring onion, clam sour soup, clams fried with garlic, clam porridge, etc. The unfavorable weather of Hue these days has made one feel uneasy. When that happens, I usually take a tour around Hue then drop in a certain place to eat something as a way to shoo away the uneasiness of the weather. 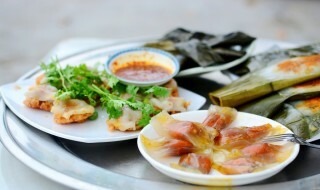 The banh loc goi (the Vietnamese clear shrimp & pork dumpling wrapped in banana leaf) made by Mrs. Thao is not sticky in hands when diners peel the leaf wrapper. On top of that, its cooked tapioca paste is soft and chewy. 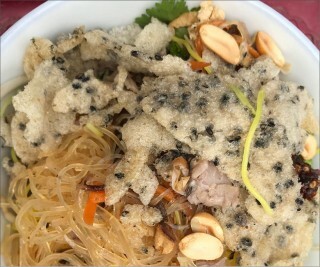 Therefore, Mrs. Ha Thi Thao’s household has to knead a quintal of tapioca starch to meet the demand of customers. 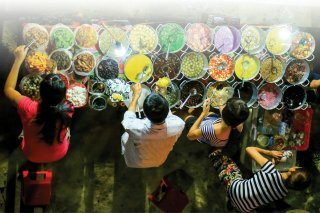 Looking at dishes cooked and served by Hue people, one feels they are like brides dressed up for their big days, prepared to conquer those around them," compares Dr. Bui Minh Duc, a Hue native who lives far away from home. Enjoying com muoi (salt dishes) while visiting Hue is really a privilege. 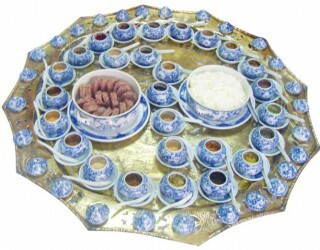 Eating salt dishes means "eating" the peculiar and profound culture of ancient Hue.